If your outdoor living area needs a modern new look, you might look for the best ideas to transform your patio's landscaping with creative updates. Upgrading your patio has a double mandate. The effort should not only improve the way your outdoor space looks, but it should also improve functionality. If you are looking for a better, more functional outdoor space, making a few updates and carrying out proper patio maintenance is essential. However, this does not always mean it will cost you an arm and a leg. If you have been hunting for the best affordable ideas, here are top five ways you can upgrade your patio on a budget. You cannot upgrade the look and feel of space until it’s clean and ready to be transformed. Start with weed removal. Remember, weeds can easily grow in the cracks of the cement and between bricks. 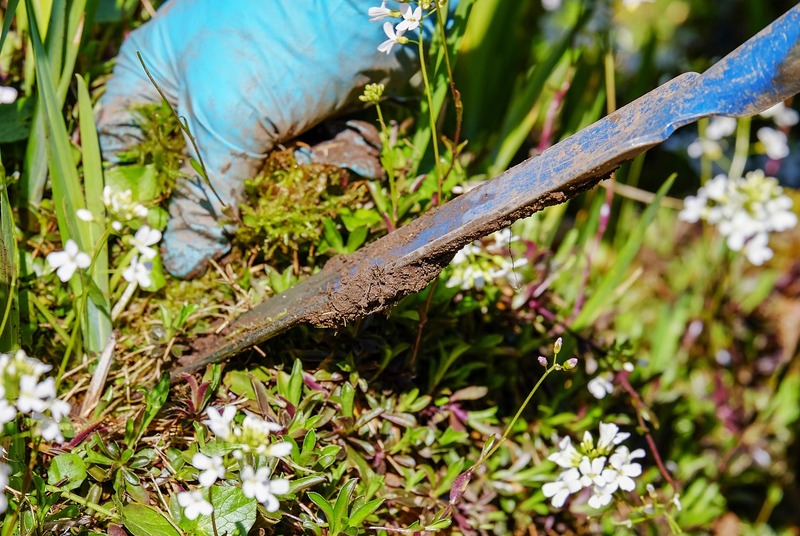 As important as it is to bring colors and fragrance to your patio with plants, allowing unwanted weeds to grow everywhere can make the space appear cluttered and nasty. Picking them up regularly by yourself will not cost you any money. On the other hand, think about debugging the space too. Whether you want to sit and sip on your cup of coffee with your family or use the space to entertain loved ones with parties, clearing off bugs from the patio is important. Having insect guests can kill the outdoor vibe. A cool idea to get rid of them is to use rosemary and citronella-infused candles. You can even DIY them for serious savings. These work like wonders and give a soothing effect to your ambiance. This shouldn't be very expensive if you know what to do. By adding the fauna and flora, you can brighten up any space - especially an outdoor patio. How you go about this one depends on your preference. Add the pop of color by adding flowering plants, or make the space greener with more modern and sleek plant choices. Using your green thumb for upgrading your patio can completely change its outdoor appearance. 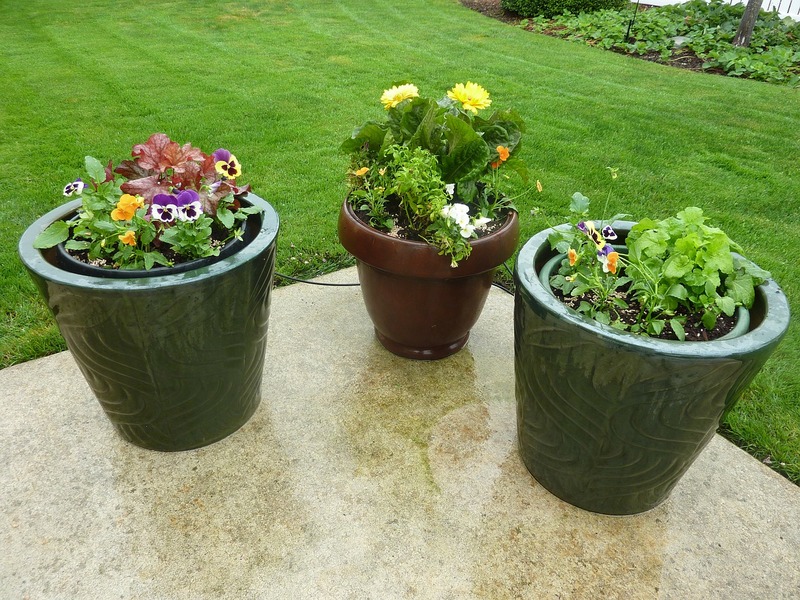 Be creative with the pot placement and select low-maintenance plants that won’t break the bank. 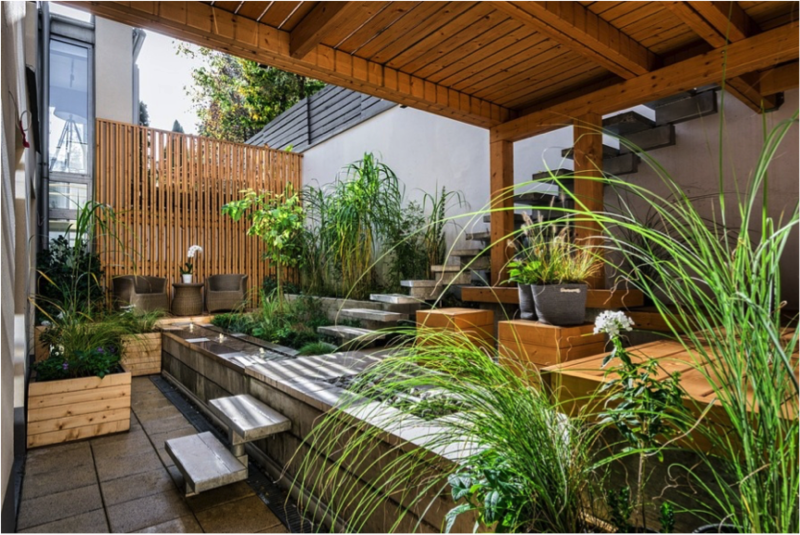 You can even take your plants along if you are moving to a new home with a patio! 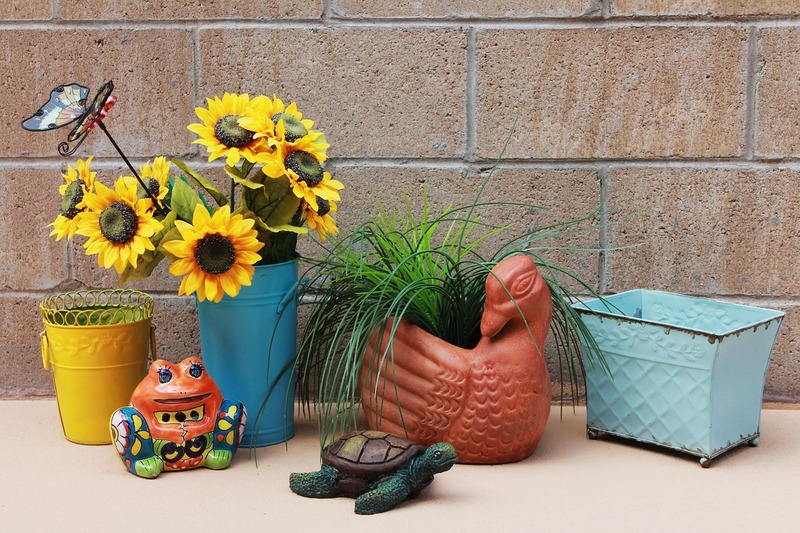 Cute updates to a small patio don't have to be expensive. Just throw a few bright-colored outdoor pillows in a random setting and give your patio a lively touch. If you already have furniture that you don't want to change right away, a few creative steps that add in some color can give your patio a contemporary look. Use old buckets, pots, candles, and anything that you don't want to use indoors to make your outdoor space appear more interesting. The best way to bring out the burst of color is when you go random with your choices. The right lighting can be your best bet for upgrading your patio on a budget. 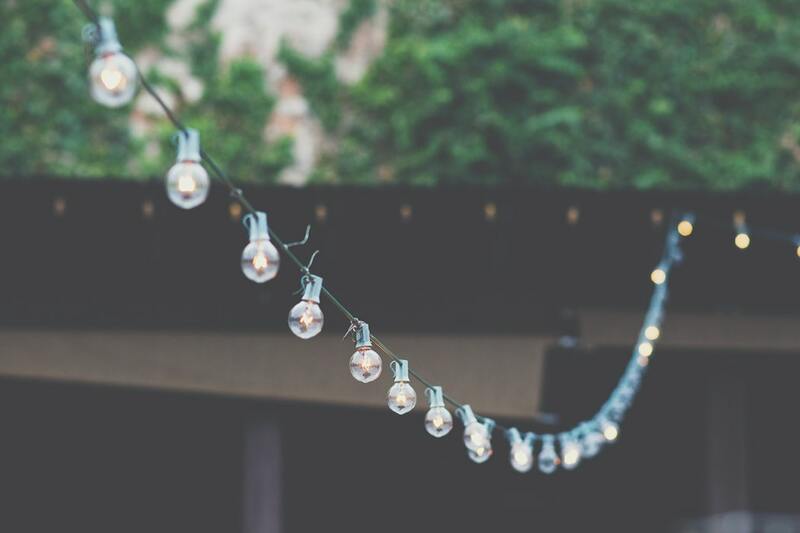 While there are amazing options out there to lift your patio with the right lighting, using lanterns and string lights can cast the glow you are looking for. This is an affordable way to give your outdoor space light without taking up table or floor space on the patio. Just like string lights, you can hang the lanterns and give your patio a modern feel. Add a creative touch by spray-painting the globes, string lights, or lanterns and change them into any color you like. Just like interior design, furniture can instantly change any exterior décor, if done right. Once again, investing in furniture does not have to be out of the budget. Furniture not only gives your patio its unique personality, but also adds another relaxation spot. Pick your furniture wisely. 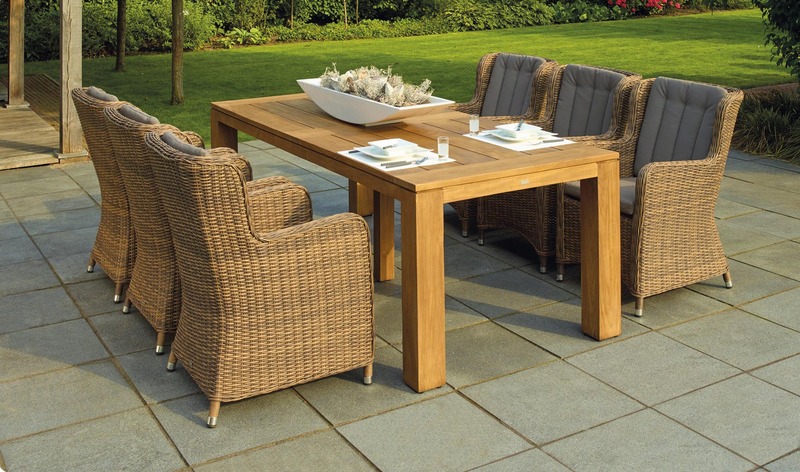 Make sure it is designed for an outdoor setting and is robust enough to deal with the changing weather. Also, if you want it to be trendy, check for armchair seating and patio couches - they are the hottest patio furniture to have right now. Space planning your patio furniture has no limits. It can be as versatile and chic as you want it to be. The only tip here is to keep it minimal and make sure it complements the rest of the setting perfectly. Having a patio in your house offers you a great space that can enhance the overall appearance of your property. It's one of the best parts of your house that provides both relaxation and entertainment, but unfortunately, the patio is the last area people pay attention to when remodeling or updating. However, updating your patio is possible with these tips above. If you keep them in mind, you can transform your patio as per your preference and your budget. 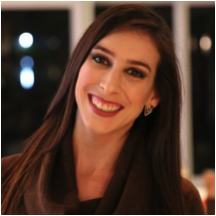 Author Bio: Jenny Harrison is a passionate home and lifestyle blogger. She loves to engage with readers who are seeking home and lifestyle-related information on the internet. She is a featured blogger at various high authority blogs and magazines, in which she shares her research and experience with the vast online community. Currently, she is associated with a moving company called ‘All Around Moving Services Company Inc.’, which specializes in arranging and assembling services of professional and skilled local movers based in New York City, as well as areas in New Jersey, Connecticut and the Miami Dale area in South Florida. Follow her on twitter @MJennyHarrison for more updates.